[Q&A] how can i know that which adapter is of which phone? 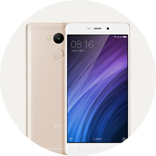 [Q&A] volume down button is not working in Redmi note 4 ? [Q&A] The voice is coming very low after I updated my phone why?